2001 Gallery K, Nicosia, Cyprus. 2002 Gallery K, London, U.K.
2004 Gallery K, Nicosia, Cyprus. 2004 Pafos Amathus Hotel, Pafos, Cyprus. 2007 Morfi Gallery, Limassol, Cyprus. 2008 Nicosia Hilton Hotel, Cyprus. 2009 Gallery Argo, Athens, Greece. 2010 Cultural Centre Pafos, Cyprus, Under the auspices of the President of the Cyprus Parliament. 2014 Golden Gallery by Kapatays, Nicosia, Cyprus. 2018 Golden Gallery by Kapatays, Nicosia, Cyprus. 2018 Neapolis University, Pafos, Cyprus. 1992 Gallery Kyklos, Pafos, Cyprus. 1998 Morfi Gallery Limassol, Cyprus. 1999 Kiss VIII, Gallery K, London, U.K.
2000 Group exhibition, Gallery K, Nicosia, Cyprus. 2001 Kiss IX, Gallery K, London, U.K.
2001 Represents Cyprus at the 8th international Biennale in Cairo, Egypt. 2001 The Green Line,Gallery K, London, U.K.
2001 The Green Line, Gallery K, Nicosia,Cyprus. 2002 Kiss X, Gallery, London, U.K.
2002 Maternity, “Ericos Dynan” Hospital,Athens, Greece. 2002 The Green Line,War Museum, Athens, Greece. 2003 Kiss II, Gallery K, Nicosia, Cyprus. 2007 Group art exhibition, Cypriot Chamber of fine arts, Nicosia, Cyprus. 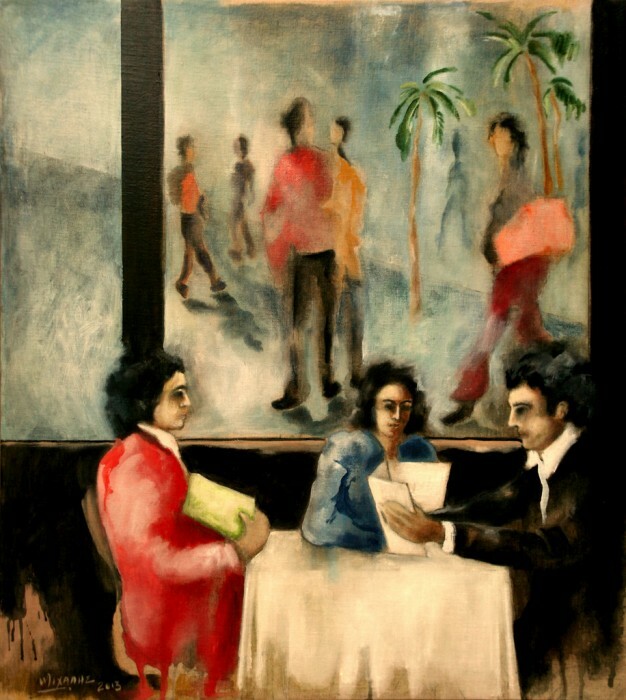 2009 Group art exhibition, Cypriot Chamber of fine arts, Pafos, Cyprus. 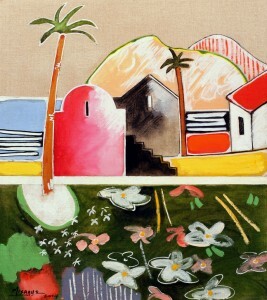 2011 Group art exhibition, Cypriot Chamber of fine arts,Pafos,Cyprus. 2011 Exhibition with Andreas Charalambides (Golden Gallery by Kapatays) Nicosia, Cyprus. 2012 Exhibition with Andreas Charalambides (Peters Gallery) Limassol, Cyprus. 2012 Exhibition with Andreas Charalambides (Cultural Centre) Pafos, Cyprus. 2014 Art Exhibition with Pafos Artists, (Kyklos Gallery) Pafos, Cyprus. 2017 Art Exhibition with Pafos Artists, (Almyra hotel) Pafos Cyprus. 2017 Pafos European capital of culture, group art exhibition with Greek and Cypriot artists (gallery en plo) Pafos, Cyprus. 2017 Salon d’ Automne in Paphos. (Group art exhibition with French and Cypriot artists). 2019 Group art exhibition (Cyprus Chamber of fine arts) Almyra Hotel Cyprus.